Flat Stanley is back in Texas and arrived in his envelope in Ms. Doris Long's class. They think he smelled like Holland. While he was away, Mrs. Long taught the 3rd graders about poetry. In this video, the kids of Sour Lake Elementary read some of their poems about Flat Stanley. Writing poems and finding the right words for different kinds of poems is not easy. Listen to the poems in the video Mrs. Long made. The poems talked about Flat Stanley being too light, too thin and flying away. Here is a picture you did not see before because we did not want you to worry. 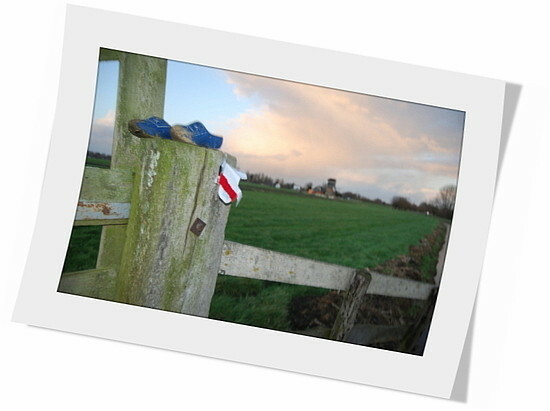 Flat Stanley was too light, his scarf was too heavy and he flew off of the fence in Holland. Thank you for the thank yous, little Hawks and Mrs. Long! I LOVE LOVE LOVE your sweet video and your fabulous, creative, silly, funny, wonderful poems. You made me cry. Today is my birthday and your video was a beautiful surprise and gift. Some day, I hope you get to visit Holland and travel to all the places Flat Stanley has seen around the world. Keep writing.